Choosing an Office Removalist – What to consider and how to go about it. Commercial and Business Relocations are services provided by a specialist moving company. Your office removalist has to understand your needs, timelines and have the resources to deliver their customers a comprehensive but unique range of commercial moving services. They’ll use dedicated and specialist equipment to provide and efficient timely service. Resulting in a seamless management and delivery of the commercial moving experience. 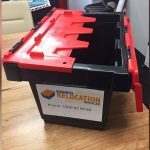 At Business Relocation Services our expertise comes from having moved many businesses from a variety of industries, we know what it takes to move a business efficiently within the same building, city or even interstate. Our experienced office moving project teams and crews have developed detailed planning skills necessary to manage your relocation from start to finish, allowing you to get on with what you do best. Our goal at Business Relocation Services is to ensure the service we deliver is seamless, to the required timeline and cost-effective. Office moving is a complex task, your business needs to have a little downtime as possible. We understand that not all office equipment can be moved at the same time. Our project managers will work with your IT staff to ensure that these resources are relocated inappropriately and in a timely order. We’ll plan the packing and unpacking of shared filing, ensuring a sequential order is maintained during the process. In addition to correct timing, valuable office equipment such as computers and technology, office files and storage units need to be handled with experience and expertise. Consideration needs to be given to access to the relocation always ensuring there is an appropriate regard for security. Our staff are experienced office removalists with access to some of the latest packing equipment and methods and materials, including air padding technologies for sensitive and specialist equipment, to ensure that your technology, office equipment and furniture arrives in your new office location in the same condition in which we collected it form your old office. You may not move offices as often as we do, so for your office move, make sure the experience and expertise we have gathered from the hundreds of office moves we’ve done are on your side. We’ve seen and done it all. The logistics of an office move aren’t as predictable as you might think; for example, there are more steps to the process that you may have allowed for. Our project team as will make sure these gaps aren’t missed. Planning your office move with Business Relocation Services ensures that whatever might come up, we’ve got a solution ready to ensure it doesn’t disrupt your move.